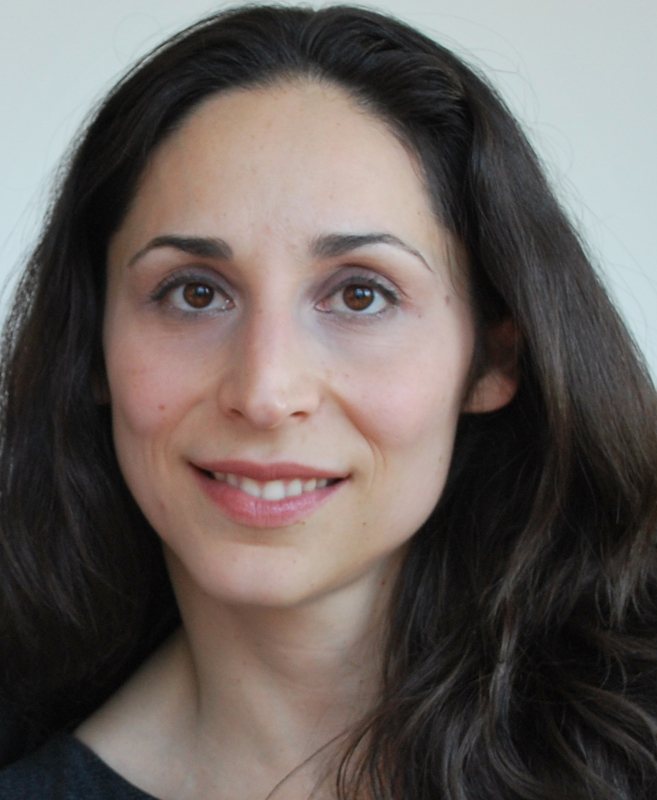 A BWH laboratory led by Anna Greka, MD, PhD, Department of Medicine, was featured in the National Institutes of Health (NIH) Director’s report on the 10-year anniversary of the NIH Director’s Common Fund for their promising research on therapeutics for glomerular kidney disease. One in nine Americans—more than 26 million—live with kidney disease and kidney failure due to high blood pressure and diabetes. Moreover, kidney disease has been described as a worldwide epidemic; however, there have been few therapeutic breakthroughs in recent decades. Greka studies the role of TRPC5, an ion channel that damages the kidney’s filtration system when activated by allowing an influx of calcium into podocytes, the cells responsible for filtration. Through the Molecular Libraries Probe Production Centers Network, a collaborative consortium supported by the NIH Common Fund and NIH Roadmap, Greka located a Molecular Libraries compound, ML204, discovered by researchers at Vanderbilt University, with the potential to inhibit TRPC5 activity and stop cell damage before it progressed to kidney failure. When tested on a mouse model with kidney disease, the ML204 compound blocked TRPC5 and protected podocytes from damage. The results were published in the December 2013 issue of the Journal of Clinical Investigation. Greka’s current efforts, as the director of a newly founded BWH center called Glom-NExT, Center for Glomerular Kidney Disease and Novel Experimental Therapeutics, are focused on translating these insights into human therapies by developing the first ion channel targeted treatment for kidney disease. “[The Molecular Libraries program] allowed us to take a chemical sitting on the shelf somewhere and translate it—at least at the level of a mouse—into therapy for a very devastating disease,” explained Greka. The NIH Common Fund/ NIH Roadmap represent a transformative approach to supporting biomedical research by allowing chemists, biologists, neuroscientists, physicians and researchers in both the public and private sectors to share information and insights easily across specialties and disciplines. This program enhances communication, interdisciplinary research and the ability to translate basic science advances into new treatments that benefit patients. 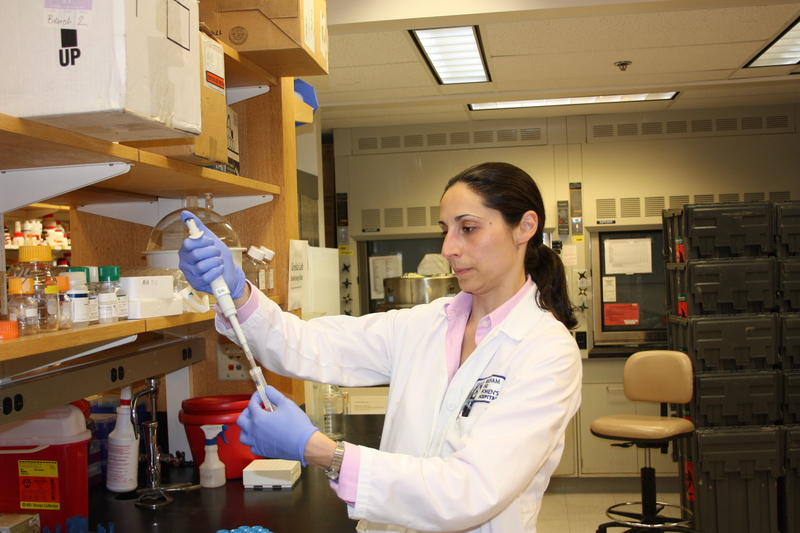 Greka works in her lab on promising research in kidney disease.